Spectac International pressure tanks are designed to meet any specifications that you require for your business. All pressure equipment is tested at Spectac International’s premises, using certified equipment and when required, we can also provide a third party certification and approval and x-raying tests. We carry out a factory acceptance test on-site for our clients to attend also for sign-off. Our engineering team are skilled to deliver the very best solutions for all your needs. 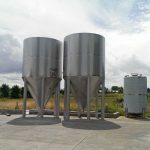 Spectac International manufacture pressure vessels for a range of different industries including brewing, food and pharmaceutical. We build all of our vessels to ASME pressure vessel standards and can CE mark and provide FAT testing in-house with all certs for materials and procedures, spray ball coverage testing and wet testing is carried out if required. Our welders are MIG and TIG certified and our coded welders are trained in-house to work on pressure vessels. Spectac International provide fitting and installation services to all our valued clients and offer to conduct an annual service. Regular servicing of pressure vessels is extremely important as these vessels can excrete high pressure omissions if it is not managed correctly. Ireland is the 8th largest producer of pharma products in the world. Pharma-chemical products represent about 50% of all our exports. Pressure vessels are an important line of production for the pharma-chemical market. We work to the following codes of practice for the Biopharmaceutical industry – ASME Boiler and Pressure Vessels Code Section VIII Division 1. We offer a wide range of stainless steel plate to manufacture ASME pressure vessels including 304/304L, 316/316L. Spectac International will also supply internal and external coating to customer specification. Spectac International pressure vessels are designed to meet any specifications that you require for your business. 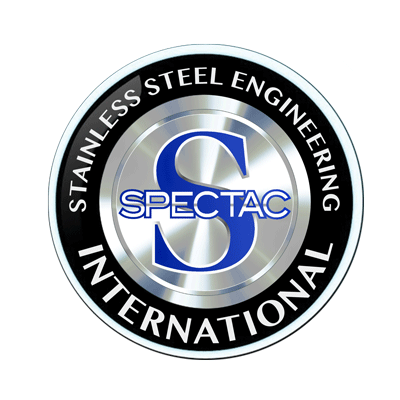 All pressure equipment is tested at Spectac International’s premises, using certified equipment and when required, we can also provide a third party certification and approval. Our engineering team are skilled to deliver the very best solutions for all your needs. 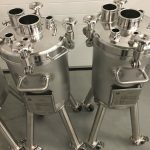 Spectac International manufacture pressure vessels for a range of different industries including brewing, food and pharmaceutical. 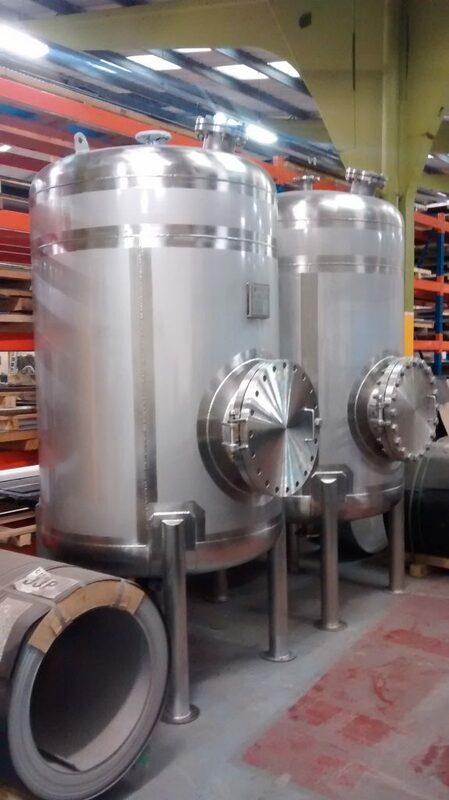 We build all of our vessels to ASME pressure vessel standards and can CE mark and provide FAT testing in-house with all certs for materials and procedures.